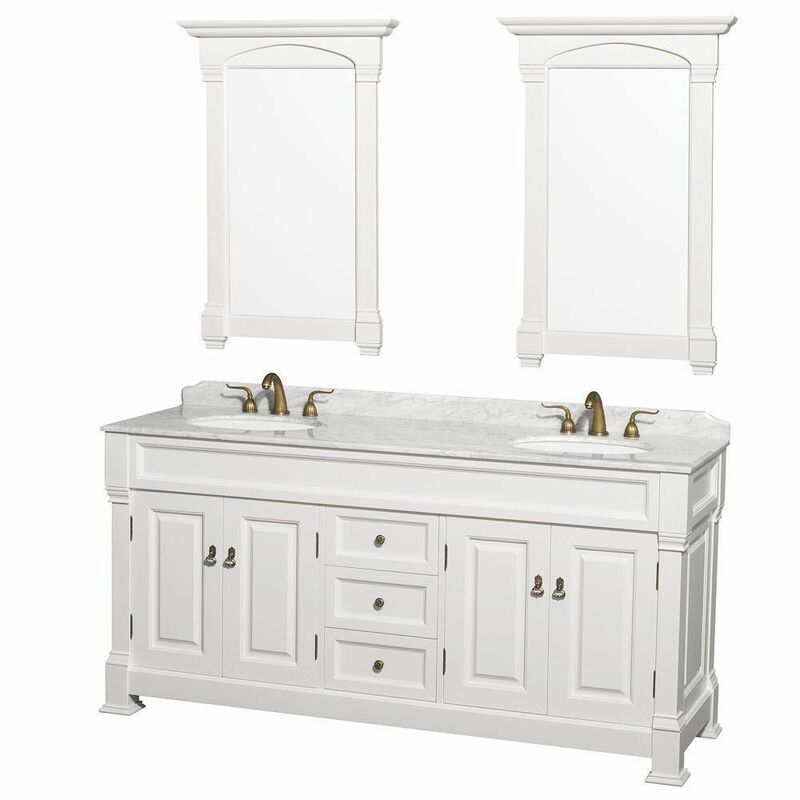 Andover 72-inch Double Vanity in White with Marble Vanity Top in Carrara White with Under-Mount Sink With a width of 72-inch and an elegant design, the Andover bathroom double vanity is ideal for your master or large guest bathroom. It was finished in Carrara white and has decorative carved flourishes. It features a large matching mirror in white for a full bathroom makeover. Quality craftsmanship was used to create this unit, as zero-emissions solid oak hardwood was chosen in an effort to not only reduce environmental impact, but also prevent warping and last for many years. A 12-stage process was also used that included preparing, painting, sanding and hand-finishing. Andover 72-inch Double Vanity in White with Marble Vanity Top in Carrara White with Under-Mount Sink is rated 4.4 out of 5 by 25.